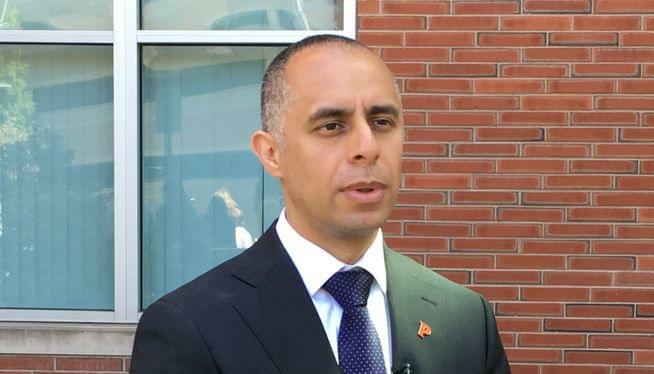 The Providence Teachers Union was planning a protest at this weekend’s Providence Education Summit, but their President Maribeth Calabro claims Mayor Jorge Elorza called her on her cell phone to ask the union not to protest. Elorza said he did reach out to Calabro but that her characterization of his remarks was a “total distortion.” He said he called to tell her that it would be “a mistake all around to politicize” the event. Listen to "Maribeth Calabro President of the Providence Teachers Union" on Spreaker.Listen to "WPRI Reporter Dan McGowan - Traffic Cameras, Mayor of Providence's Travels, & more" on Spreaker.